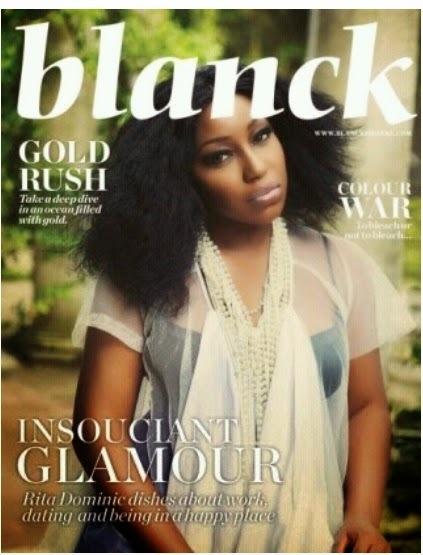 Oby's Blog: Rita Dominic reveals she’s in a Relationship... "I'm in a Happy Place"
Rita Dominic reveals she’s in a Relationship... "I'm in a Happy Place"
The award winning actress, who covers the September issue of Blanck digital magazine, dished on her love life, admitting she’s in a relationship and is in a happy place in her life. She admitted that her man is not in the entertainment industry. “Sorry love. He’s not” Rita said when asked if her man is someone in the industry.